As the music industry’s major labels scale back on investing in interesting new artists, emerging musicians will often take promotional matters into their own hands, devising bespoke campaigns to get their music heard. Digital technology has reduced the price of creating artistically ambitious music videos, though quality often veers from inspired to enfeebled. But it’s the presence of animated music videos that has been of interest this autumn, mainly because these musicians are new artists signed to small independent labels, yet their videos are admirably designed and not lacking creative intent. Whereas Coldplay can pillage the loaded wallets of EMI for its expensive animated shorts, the artists featured below probably sought out neophyte animators for their own music videos. The results are of varied quality, but there’s no doubt that the people that made them are driven by energy, enthusiasm and passion. More importantly, each song is a winner. Canadians are like Europeans, aren’t they? After all, they share many of the same values as us and can speak a range of our languages. Carole Facal is a Canadian singer-songwriter who usually sings in French but is branching out into English. She goes by the stage name of Carcol and has produced a catchy indie pop song that is enjoyable enough to play on mainstream radio but cool in ways that preserve a sense of playful hipness. The video toys with live performance and animation, though it's the latter that works best. In true Canadian style, Carcol has opted to forsake the countless income she could generate by selling such a pleasing track via iTunes and has chosen instead to give it away for free. That is what you call sonic philanthropy. Lanterns on the Lake is a Bella Union act that has acquired a devoted fan base over the last five years. Their debut album Gracious Tide, Take Me Home was a critical smash in 2011, and Monday’s release of the follow up LP Until the Colours Run is getting some of the best reviews this year. The title track from the album features an animated video that is just as cacophonous and beautifully strange as the song. Lanterns on the Lake’s music blends rock, folk and electronic beats in fascinating ways, making them one of the most interesting British acts of now. The band hails from the wastelands of Newcastle-upon-tyne; their ethereal music often entwined with political lyrics about industrial inertia and working-class attrition. This is the kind of music that engages one’s intellect and senses, something that seems hard to come by these days. The Beatles were perhaps the worst thing to happen to Liverpool. That band’s mythical shadow looms so heavy that we fail to recognise just what an amazing rock city it remains, producing marvellously progressive bands that are as important as anything to come out of Manchester or Sheffield. Outfit is of the same ilk as that other excellent Liverpudlian post-punk act Clinic, but newer in terms of currency. Room on Fire is rhythmically charged, but there is an intense quality to its sound that unnerves whilst also making you want to dance. That’s not an easy thing to achieve. 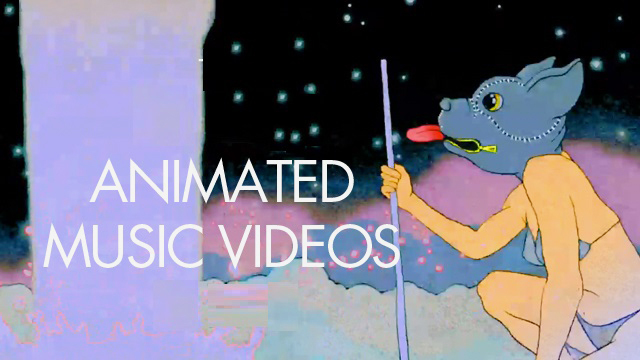 The video’s surreal animation contributes to its weirdness, amplifying its overall sense of gratifying oddness.